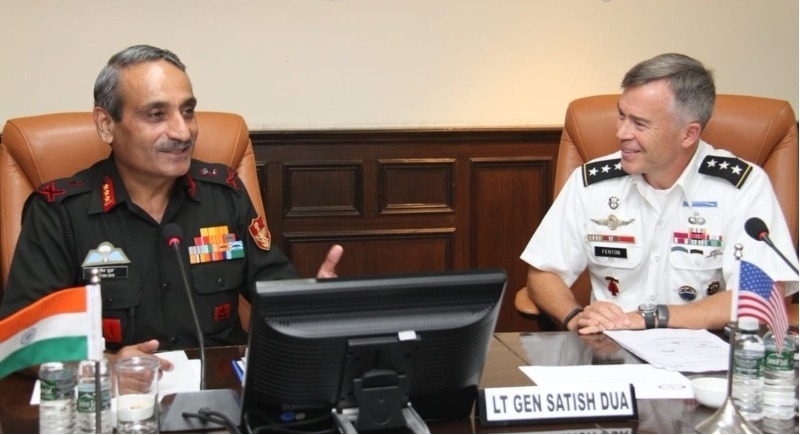 New Delhi, August 2: A two-day Indo-US Military Cooperation Meeting began on Wednesday in New Delhi as a preparation to much anticipated 2 plus 2 Dialogue between the two countries which is scheduled next month. Notably, New Delhi will host the much-awaited 2+2 dialogue (two plus two dialogue) between India and the United States (US) on September 6 this year to strengthen bilateral ties. External Affairs Minister Sushma Swaraj and Defence Minister Nirmala Sitharaman will host the US Secretary of State Michael R. Pompeo and US Secretary of Defence James Mattis in 2+2 dialogue. Importantly, the much awaited 2+2 dialogue is seen as a vehicle to elevate the strategic relationship between the two countries. India and US were also working to have a joint drill of all the three armed forces of the two countries.